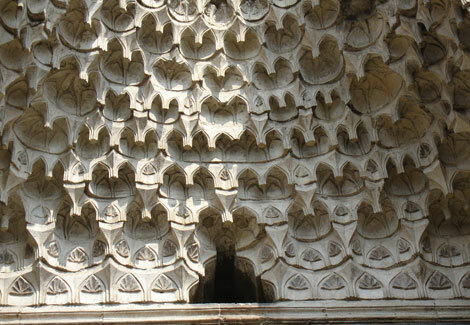 This first post is in honour of Sabereh who appeared in a dream after spending a lovely evening in our kitchen eating chicken korma and showing us a short documentary film she is working on about the traditional decorative architecture called muqarnas. My favourite moment in her film was when she asked her uncle, who was one of a handful of people who still do this, a dying art form, why he did it, was it for the money? Money? No no, he said, he did not get paid for the work at all. He did it as a form of devotion, a way to show and celebrate his love of the divine. Anyway, in my dream, I was at my desk looking at the computer screen – Sabereh was there, leaning over me, nodding in approval as I posted a link to the Peacemaker. What it means I have no idea, but it seemed necessary to honour the dream.